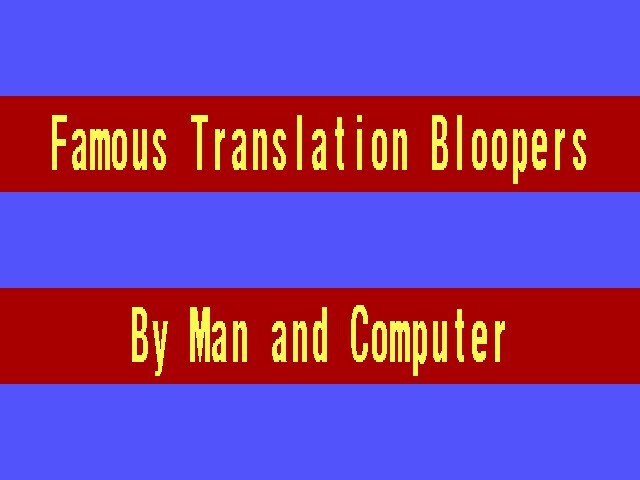 Animated text show on human vs computer translation, humorous quotes & Bloopers. Truth About Translation 2 is other software developed by Cross-Cultural Research Projects. TRUTH ABOUT TRANSLATION ENHANCED 2. Animated text show gives much information, exposes myths on translating/interpreting/computers. 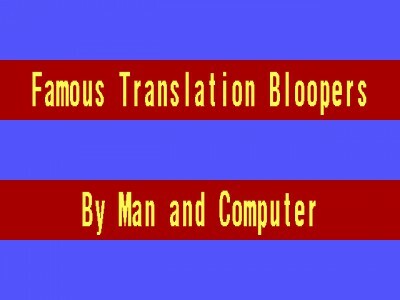 New, menu-driven, humorously probes complex language problems, presents famous quotations about translation spanning 2,500 years, PLUS hilarious "Translation Bloopers" by man & machine PLUS humorous and insightful ideas about how both language & translation truly work. Animated/printable. Full version $12. This program is shareware, which means you can download and use Truth About Translation 2 for free during 30-days trial period. After this period you gonna have to buy Truth About Translation 2 software for $12.00 or uninstall the program. Truth About Translation 2 supports English interface languages and works with Windows 98/XP/Vista. Latest Truth About Translation 2 does not contain any spyware and/or advertise modules, allowing installing it with no worries concerning valuable information loss. Our website has thoroughly tested other product Truth About Translation 2, written the review and uploaded installation file (516K) to our fast server. Downloading Truth About Translation 2 will take several seconds if you use fast ADSL connection.